For the last couple of years I have selected a Word for each year. This Word represents my focus, direction, desire or motivation for where I feel led in the upcoming year. Savour which is really interchangeable with Treasure. 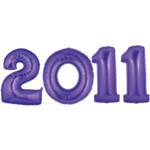 I wish you all a beautiful and precious 2011. Nice idea with a word-of-the-year! This is the first year I've ever done a "word of the year". I chose "listen". So many ways I need to listen and so many reasons I chose that word. Thanks for sharing your "word" and the reasoning behind it! Happy New Year to you and your family! Tina, encouraging you to Listen. Lovely to 'see' you here.